The application gets a new dark theme. On the main page with parallax effect now you can see two nearer alarms. You can choose time with new control as in Alarms of Windows 8.1. Also you can use music in your library for alarm’s sound. Interval, countdown has become more intuitive and comfortable. Added two kinds of live tile: transparent and standard. 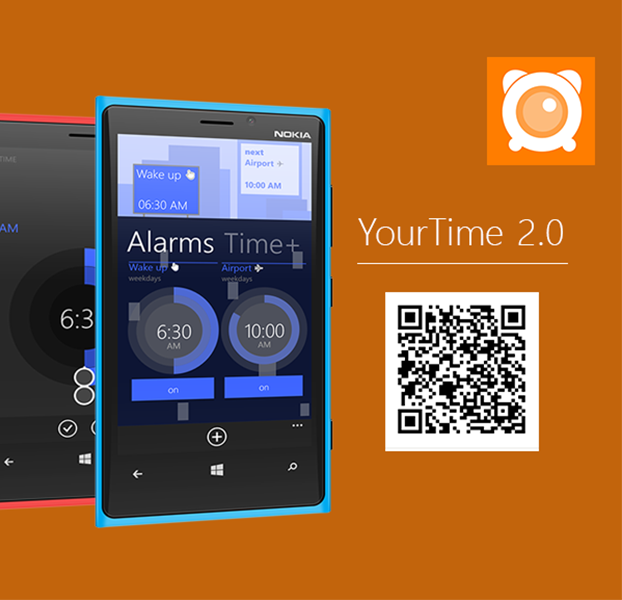 You can download YourTime from the Windows Phone Store here.